I have never believed I could pay anything less than $50 on something that would make my kitchen knives as sharp as before. Now, it seems that are real solutions to that – cheaper ones as well. Working in the culinary field, it’s been shocking to see how many still use the whetstone. Or, they prefer to spend hundreds on various knife sharpening gadgets. I have never really had the skills for the whetstone. Also, I had no money for sophisticated devices. 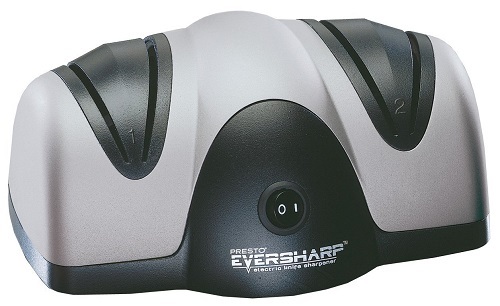 If these are your thoughts take a look at Presto 08800 EverSharp electric knife sharpener. This tool is a good option for many who refuse the old ways to sharpen blades. It got my knives sharp like razors in no time. If you have any experience with sharpening knives, I recommend ditching old and inconvenient tools and going straight for this one. You won’t break the bank and you surely won’t harm the blades. On the contrary, this will make them last longer. The EverSharp means good value for money. Don’t laugh at this sharpener’s price tag. It gets the job done so well you won’t believe it. I couldn’t believe it myself the blades were so thin and not damaged at all. It doesn’t work with wavy ones, but it will make impress you with the straight edges. You will enjoy a thin edge that remains like this for long. There is hardly any risk of slipping blades or sharpening at incorrect angles. The blade locations are very narrow. One could only fear using too much pressure onto the knife, but that will not easily happen. The device has a mechanism that prevents excessive grinding. The motor automatically stops when the blade goes down too much. EverSharp has gathered over 1000 reviews at this point. Its rating is of 4.4/5 stars. Customers are excited about its price and sharpening power. 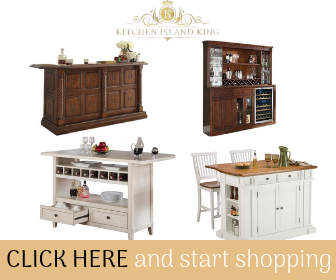 Thanks to the results, you will reuse the device scarcely – like once in several months. Many found it helpful that the motor stops if they get to push down the knife too hard. This certainly saves a lot of the blade material, leaving the knife with a good edge. It’s a good mechanism to prevent over-sharpening and quick, early damage. The only complaint, it seems, is about the burr created by the honing. In the end, there is just a little of it. It can be easily removed. EverSharp is great for cutlery. It is a trusted tool to restore edges close to perfection. The sharpener is made for those who prepare meals on a regular basis. It may not be the wonder device that calls for no skills, but it delivers quality if you are careful with it. You have to read the instructions thoroughly and learn about the optimal angle. Then you will experience the true benefits of an electric knife sharpener.